A team from Carnegie Mellon will compete against nine other institutions June 5-7 at the NASA Langley Research Center in Hampton, Virginia, in an attempt to build and use robots to extract water from simulated Martian subsurface ice. 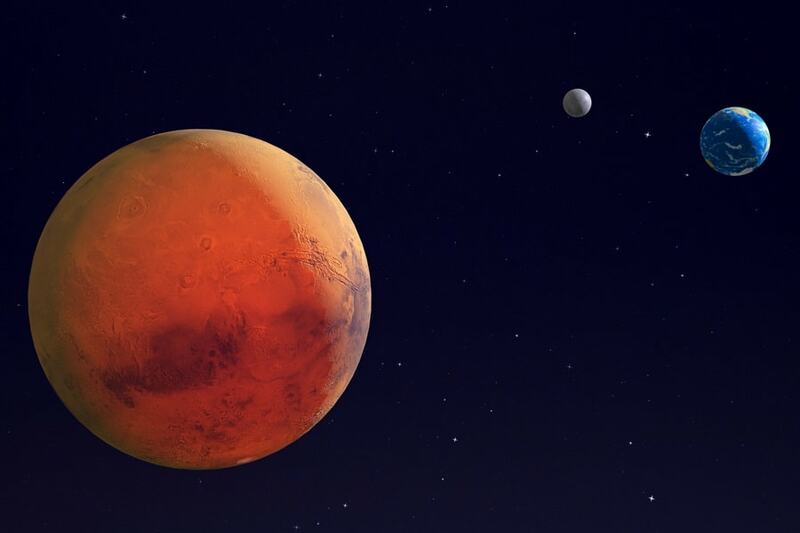 NASA's Mars Ice Challenge is part of an effort by NASA to enable a sustained human presence in other worlds by taking advantage of the habitat's resources. This will be a focus for NASA over the next few decades, and the challenge offers a unique way to engage students and faculty as partners in the efforts to send humans farther into space than ever before. The Tartan Ice Drilling System team comprises 15 students from the College of Engineering. The team is advised by Mechanical Engineering Assistant Professor Aaron Johnson, who shares his expertise in robomechanics. Ph.D. candidate Catherine Pavlov also advises the team, drawing from her research experience at NASA. 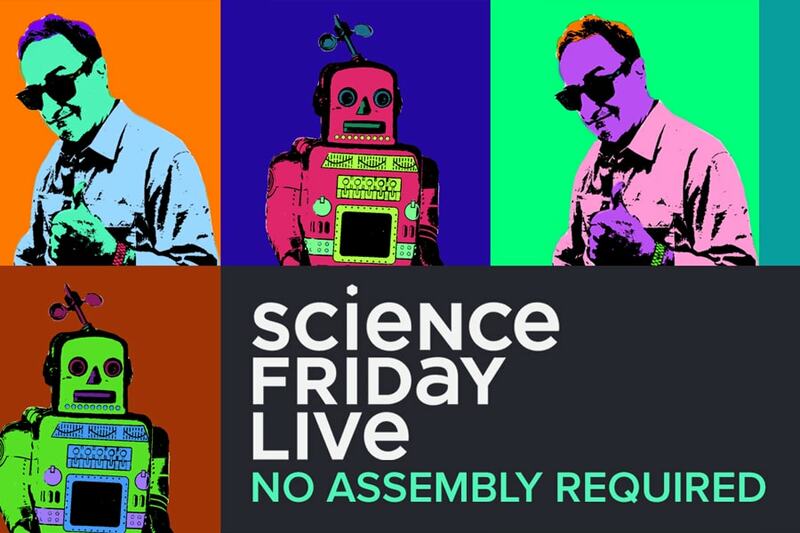 Robots who converse, provide empathy and play music were among the reasons NPR's "Science Friday" visited the Carnegie of Homestead Music Hall last week to build a show about Pittsburgh scientists and roboticists. The special live event had the theme "No Assembly Required" and included interviews with Carnegie Mellon faculty and alumni, including Justine Cassell, Madeline Gannon, Henny Admoni, Roger Dannenberg, Eric Singer and Lining Yao. The show will air from 2-4 p.m. on Friday, May 25. New applicants wishing to obtain parking on campus, current permit holders wishing to move to a different parking location, and students interested in parking on campus for the 2018-19 year can add their name to the parking waitlist beginning at 9 a.m., Monday, May 28 through Friday, June 8. If you are faculty or staff and wish to retain your current parking assignment, no further action is required. If you wish to be added to the waitlist, please visit https://parking.campusservices.cmu.edu beginning May 28. Click “login” on the left-hand side of the screen. Once you are logged in, click “order permit” and follow the instructions. You will be able to select up to three locations. Students, faculty and staff are invited to join CMU’s Let’s Ride Summer Fitness Challenge, five one-hour bicycle sessions from noon to 1 p.m., beginning Wednesday, May 30. All rides will be a casual pace and Bike Share bikes will be available. To register, contact Pattye Stragar at pls@andrew.cmu.edu or Karen Brooks at kbr00ks@andrew.cmu.edu. Carnegie Mellon's Community Day at Kennywood Park is Saturday, June 9. Tickets will go on sale beginning Wednesday, May 23. CMU employees can purchase two Funday tickets for $15 each (valid only on June 9) and additional Funday tickets for $23 each. Pavilion 7 will be reserved for the CMU attendees. A prize giveaway for children (ages 10 & under) and ice cream distribution will begin in Pavilion 7 (behind Skyrocket) at 1 p.m.
May 23, Cohon University Center, 11:30 a.m. -1:30 p.m.
May 24, Cohon University Center, 11:30 a.m. -1 p.m.
May 30, Cohon University Center, 11:30 a.m. -1 p.m.
May 31, Cohon University Center, 11:30 a.m -1 p.m. The current Business & Travel Expense (BTE) Policy went into effect on March 14, 2011. The 2018 Policy refresh reflects changes to the travel industry landscape, updates to university procurement policies and requirements, and feedback from campus stakeholders regarding opportunities to enhance Policy understanding and compliance. The revised Policy is now an abbreviated version that has removed redundancies and procedures to be more concise as recommended by university leadership. However, the core content and allowable/unallowable expenses in the current version of the Policy has not significantly changed. The current Financial Records Retention Policy went into effect on Jan. 14, 1997. The proposed Policy update reflects expansion to the categories and descriptions of Financial Records, updates to retention time period requirements, updates to the administration of the Policy to support university compliance with legal and other regulatory retention requirements, and feedback from stakeholders regarding opportunities to enhance the understanding of and compliance to the Policy. To provide comments, please go to the Policies website. A student team will compete against nine other institutions June 5-7 at the NASA Langley Research Center in Hampton, Virginia, in an attempt to build and use robots to extract water from simulated Martian subsurface ice.